On behalf of the Organizing Committee, Mr. Claude Pouget, General Director, and Monaco WAKO PRO representative, we are very happy to announce the date of the third Monte Carlo Fighting Masters that will take place on Friday, June 24, 2016 at 19:00 pm - at Louis II Stadium, In Salle Gaston Medecin, Monaco. 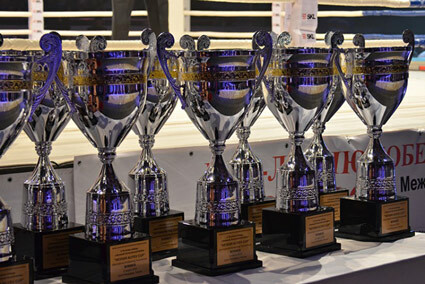 18 world champions: 9 fights for 9 Wako Pro World championships in one evening! 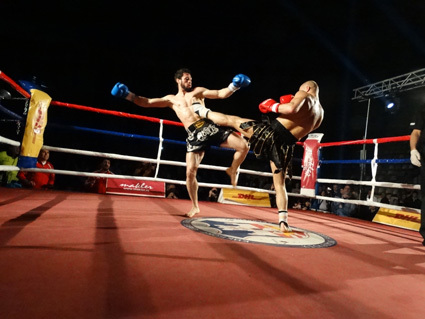 Nine fights for nine Kickboxing World championships under the aegis of the prestigious "WAKO-PRO - World Association of Kickboxing Organizations" in one evening: a world first! 18 fighters, all world champions, of different nationalities, in different weight classes (including heavy, heavy light, super medium, medium, superwelter) will compete in Kickboxing, K1 Rules, FullContact, each one for the World title. An evening that promises powerful and mainly in the framework of ethical values, respect for others, fair play. On March 13, 2015 the beautiful city of St. Petersburg hosted another high level WAKO PRO event. It was International kickboxing tournament „Heydar Aliyev Cup“ dedicated to memory of Azerbaijan National leader Heydar Aliyev. Some about 3.000 spectators in „Yubileyniy“ sport complex, the same venue where we had SportAccord Combat Games in 2013, could only enjoy in great skills, power and ability of Russian and Azerbaijan fighters. All of them had shown that they are among the best in the world. 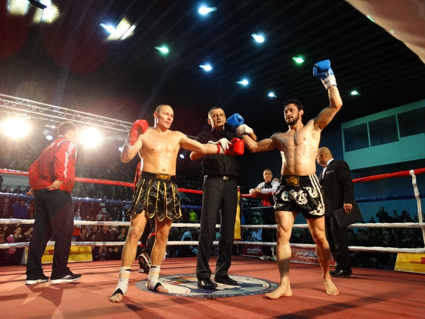 First WAKO PRO event in this year took place in Belgrade on Saturday, February 07, 2015. 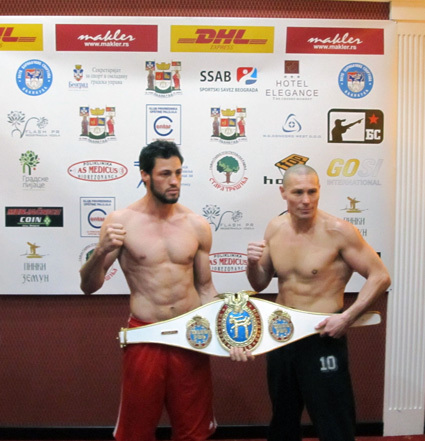 This time it was WAKO PRO World title defense in low kick, 66.8oo kg. Both fighters were ready for this fight and highly motivated to get the belt. Used to be "Temple of kickboxing" in Serbia, sport hall "Pinki", where many great kickboxing events took place in the past, among them WAKO European Championships back in 1996, was crowded with people and reminded all of us on glory days. 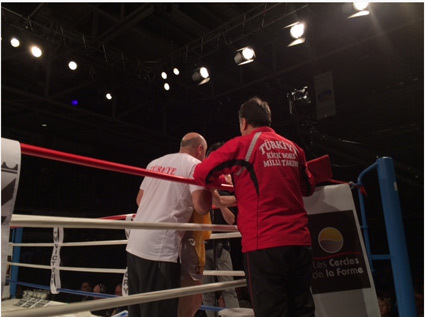 Around 2.000 spectators made great atmosphere before the main event shouting Challenger's name when he was going to the ring. Everything was there, support, electricity in the air and one very good fighter that night. But, unfortunately for home crowd, that fighter was not Challenger Nebojsa Denic. That fighter was Kenan Gunaydin, who proved why he is the best in the World. His performance was outstanding and for it he could be named "Gunaydin express" since all he needed to do he did in only two rounds. In opening round he needed just not more than 30 seconds to understand "game plan" of his opponent and then he started to make his way to first successful title defense. After good combination of punches, first with right and then left hook he put Challenger on the canvas for the first knock down. 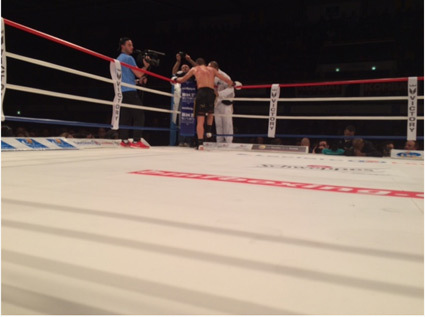 Nebojsa Denic, due to his perfect physical condition, managed to stand up on eight and to continue fight. But just almost at the end of first round after couple of precise and strong punches he was down again. Another knock down, he stood up at eight again and was ready to continue but since the time was gone in this round he got the chance to recover before second one. He did some recovery, that was the fact, and he started from the beginning of the second round with total attack, but for experience Champion, that was not a big deal. He allowed him to get close, received some punches, and made him to open himself and then again, perfect punch and Denic was down for the third time. Not long after that job was done with brilliant uppercut and by the way of technical knockout Kenan Gunaydin defended his title for the first time. That was a shock for crowded "Pinki", but after the emotions got down, Champion has received big applause from everyone in the venue for all he did. Of course, even bigger applause got Nebojsa Denic for his desire, courage and big hearth he showed. Even he was almost "dead" after first round he didn't want to give up. He did his best and fought till the end. The fact that he was the one who did the entire job in promotion of this title event with sponsors, organization, and preparation made us all to have great respect for him. For sure he was to tired, on the first place emotionally, to give his best in most important part of this event, his performance in the ring. 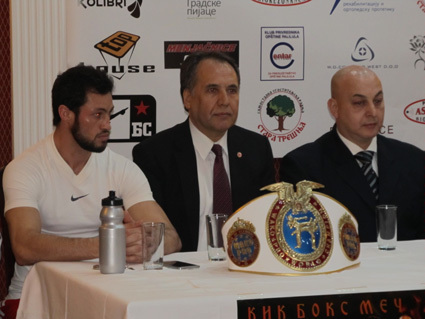 On December 6, 2015 in hotel "Elegance" in Belgrade hosted press conference and official weigh in for WAKO PRO World title bout in low kick, 66.800 kg. In front of large number of journalists we could hear expectations from both fighters, challenger Nebojsa Denic from Serbia and Champion Kenan Gunaydin from Turkey. Challenger Nebojsa Denic, actual WAKO PRO European Champion in this weigh class, thanked to Kenan Gunaydin for accepting challenge and giving him chance to fight for World title. He also said that he is ready, he knows Kenan and his ability very well, he respects him but also he said that he wants this belt so bad that he will do whatever it takes to get it, of course in the ring in fair and correct fight. After press conference we had official weigh in and the scale showed 65.7 kg for Denic and 66.8 kg for Gunaydin. Event will take place in sport hall "Pinki" in Belgrade on Saturday, February 07, 2015 and it will start at 19:00. 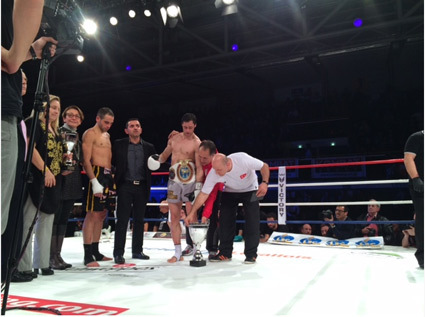 WAKO PRO Low Kick Kg.-66,80 World Title fight took place on 15th December in Levallois, Paris, France. 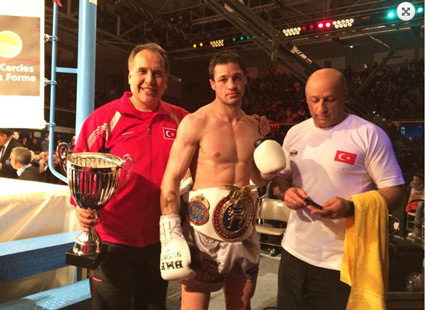 The title was vacant before the fight and two WAKO European Champion fighters, French fighter Nizar GALAS and Turkish fighter Kenan GÜNAYDIN (the fighter on the photo), will fight for winning the title. Winner of this fight will fight against a Serbian fighter on February to defend his title. 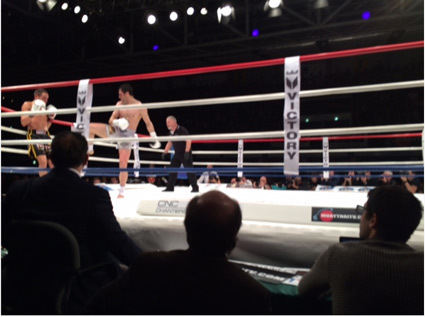 The Turkish fighter Kenan GÜNAYDIN fought very well in first three round and he was ahead. of his opponen In fourth and fifth rounds, French fighter Nizar GALAS showed a great effort to win the fight but his effort was not enough to win the fight and the title. 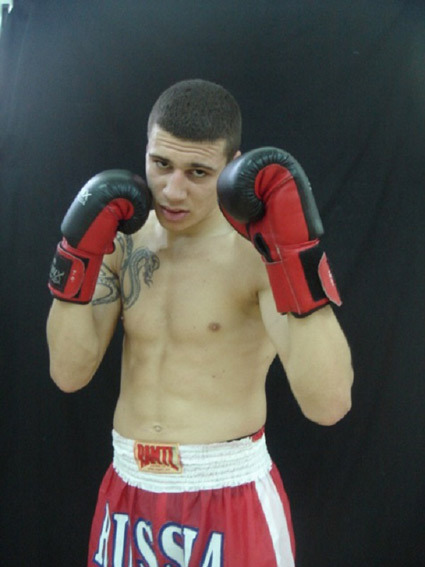 Kenan GÜNAYDIN has won the fight wiht 2-1 result. 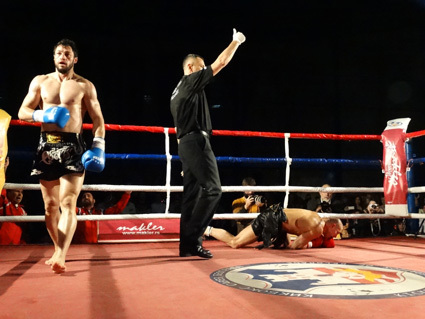 On February 2015, Kenan GÜNAYDIN will fight against a Serbian fighter in Belgrade, Serbia to defend his title. 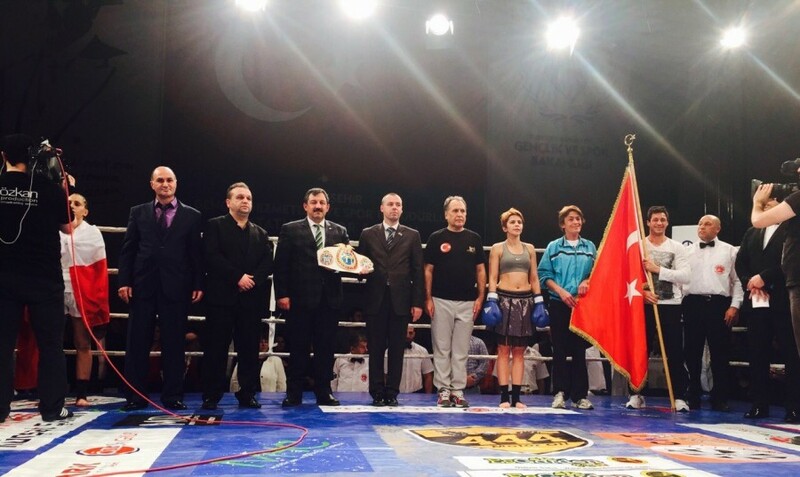 WAKO Pro Female World Title figh in Low Kick -56,00 KG took place on 17th of December 2014 at Atatürk Sports Hall, Eskişehir, Turkey. 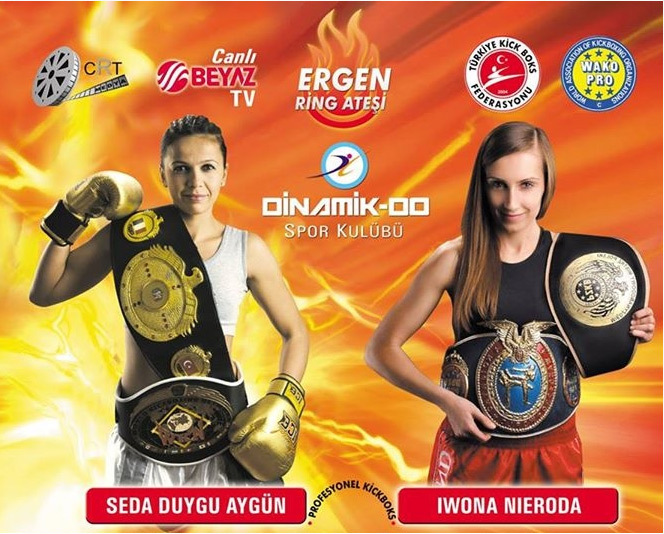 In the fight, Polish fighter Iwona NERODA fought against Turkish fighter Seda Duygu EKİCİ,former WAKO World Champion, to defend her title. 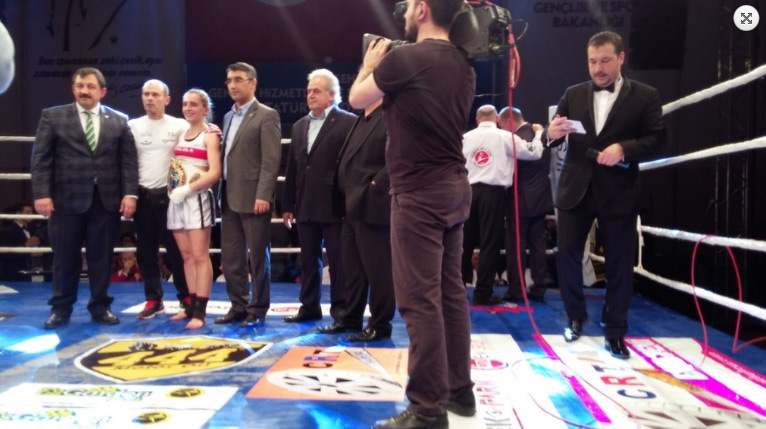 Seda Duygu EKICI, who is also known as “Anatolian Tiger”, , is locally very famous and the sports hall was full of her supporters during the fight. After a though fight of 5 rounds, Iwona managed to be slightly ahead of her opponent and won the fight with 2-1 result. The fight had live broadcast on a Turkish national tv channel called Beyaz TV. 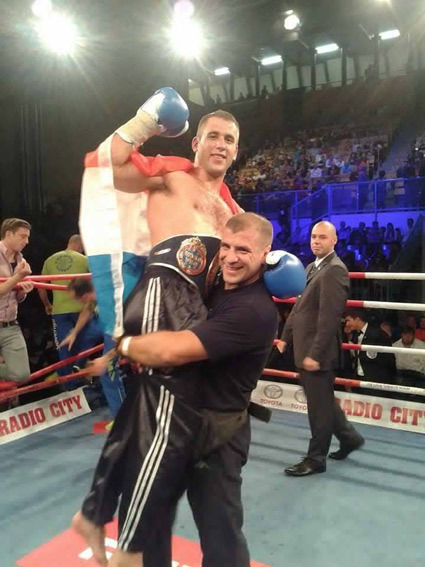 On 17th October 2014 in Maribor (Slovenia) Luka Tomic, from Croatia, won the WAKO-PRO European title in Full contact Kg -71,800 fighting against Gregor Stracaneck (SLO) by points by unanimous decision. Andrea Andrenacci (Italy) - the current title holder in the picture - vs Wojciech Wierzbicki (Poland). 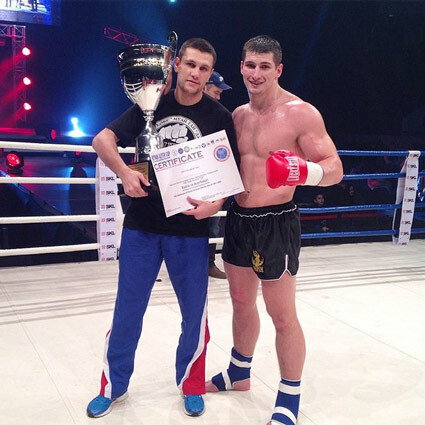 Initially MONDHOR YACOUBI (France) had to defend his European title but unfortunately due to an injury occured during training the European title in FC Kg -71,800 has been declared VACANT. New opponent for GREGA STRACANECK (Slovenia) is LUKA TOMIC (Croatia). NOW YOU BOUGHT IT, TRY TO EARN IT!